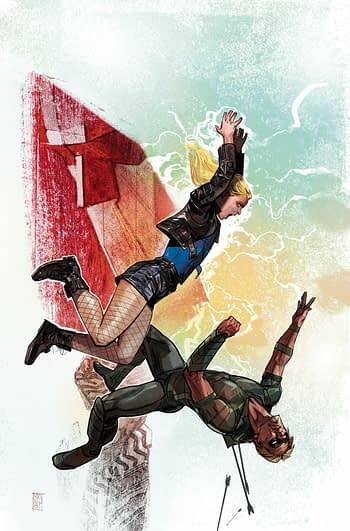 Javier Fernandez of Nightwing, Doomed, Magneto and Red Hood was solicited as the artist on the upcoming Green Arrow #46 but it is not to be. Instead, he is to be replaced by German Peralta of Agents Of SHIELD, Thanos, Man-Thing, Cable, Carnage – almost all Marvel – indeed I think this may be his first DC Comics title. Can anyone confirm? 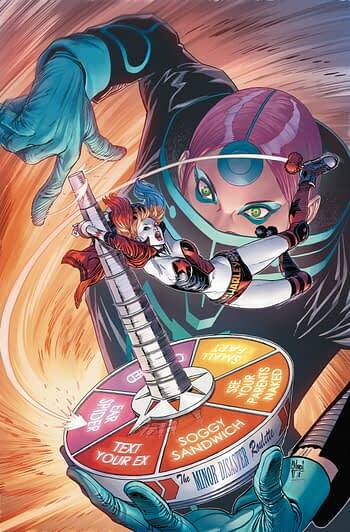 Whereas Harley Quinn #53 which was to have been drawn by The Legend Of Oz, Lobo and Raven‘s Alisson Borges will now be by Lucas Werneck of Mighty Morphin Power Rangers, WWE and Sons Of Anarchy – almost all Boom – indeed I think this may be his first DC Comics title too. Can anyone confirm that as well?